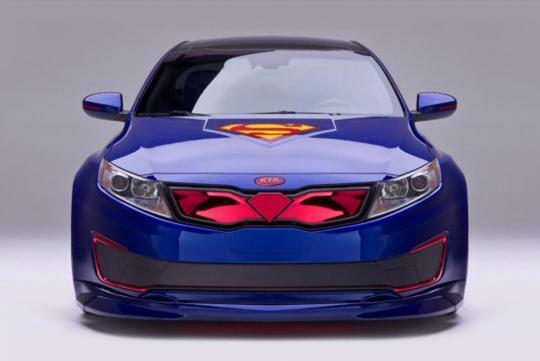 During last year�s SEMA (Specialty Equipment Market Association), Kia teamed up with DC Comics and both companies presented five Justice League themed vehicles at the show. These modified vehicles are made to raise awareness for DC Entertainment�s �We Can Be Heroes� campaign which is aimed to help people affected by drought and famine in Africa. 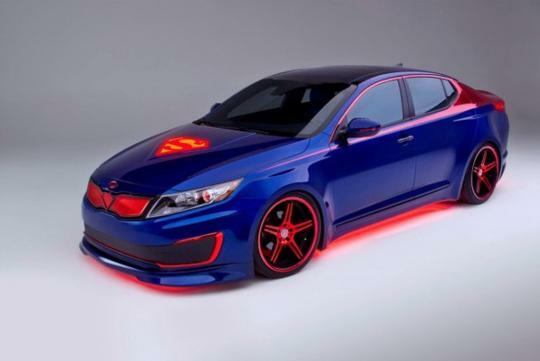 There will be a total of eight cars made and the sixth vehicle is a Superman themed Kia Optima Hybrid. Kia worked together with DC and Super Street magazine and they have designed and built a one of a kind car that represents the strength and fortitude of the world�s most iconic super hero. Wide fenders were fitted to the car to give it a more muscular appearance. The car features an adjustable suspension system that can raise or lower the car with just a push of a button. A red paint design which extends to the rear trunk imitates the look of Superman�s red cape. The front grille was designed to resemble Superman�s belt and the red-coloured headlights glow with the same intensity of the superhero�s heat vision. The eye-catching blue and red colour scheme extends throughout the whole vehicle. 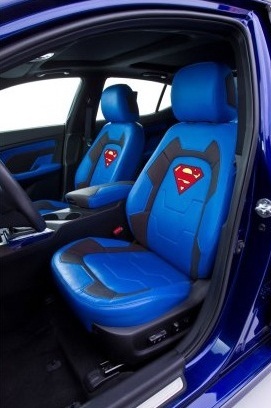 The interior of the car was also decked-out with custom materials for their unique texture and appearance which reflects Superman�s battle armour. 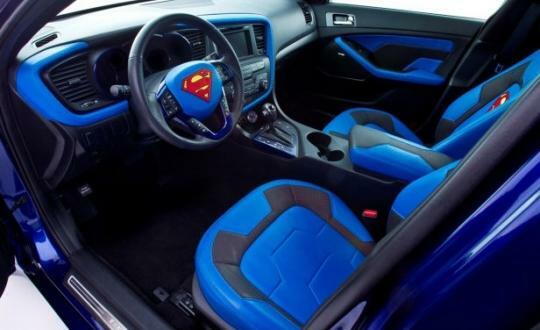 Superman�s iconic �S� shield logo is integrated into the seats and also the steering wheel to give it a more complete look. Representatives from both Kia and DC Entertainment have mentioned that they are proud to work together to raise awareness for the campaign and they are glad that these Justice League inspired cars have been a huge hit with both comic fans and car enthusiasts.